Experience The World Islands and their spectacular Dubai views with a daytime or evening trip, including return boat transfers. 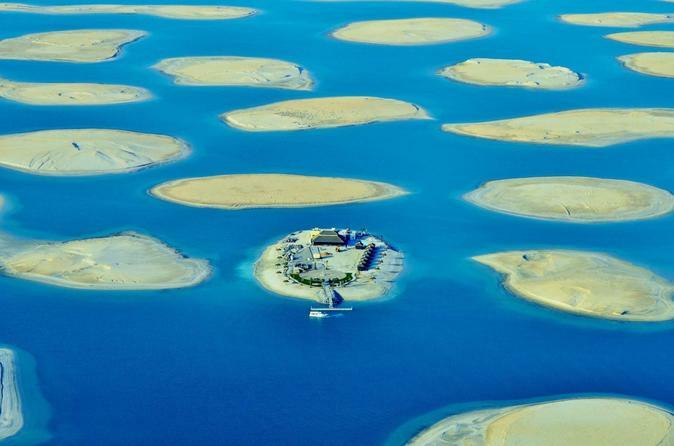 Choose an all-day or evening visit to this man-made, world-shaped archipelago off Dubai, and ride a boat to an island that offers idyllic beaches, a restaurant and other facilities, to relax as you wish. In the day, lounge on the beach, swim, play sports, and admire the stunning views. In the evening, perhaps dine at the restaurant against the stunning backdrop of Dubai’s illuminated skyline. Meals and drinks are not included.